There are 600,000 hysterectomy procedures conducted every year in the United States. Laparoscopic surgical wound closure for hysterectomy procedures can be a time-consuming, multistep process, prone to inconsistent results. 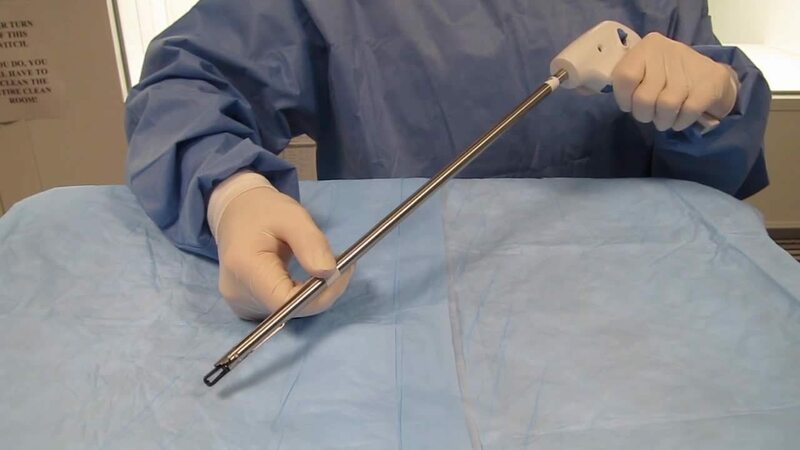 ZSX Medical partnered with Smithwise to develop Zip-Stitch®, a laparoscopic surgical closure system designed to make difficult surgical closures fast and easy for gynecologists and other physicians, saving money for hospitals and improving outcomes for patients. Smithwise provided prototyping services, industrial design, mechanical engineering, and production supply chain resources to ZSX to help develop their new device currently under review with the FDA. "As our engineering partner, Smithwise has been rapid, creative, and adaptable in bringing our napkin sketches to realization."